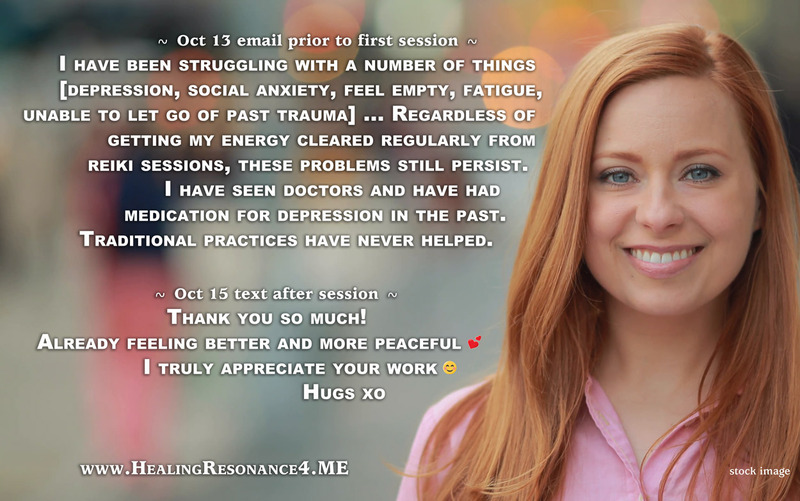 Healing Resonance Testimonials: I Feel Amazing! [Kayla found me online and scheduled a session. I received a number of emails from her in the days leading up to her session. I replied, assuring her that I would be able to assist her in healing mind-body-spirit-emotions. She was able to let a lot of dense/heavy energy release during her first session.